It’s tough to be this good looking. 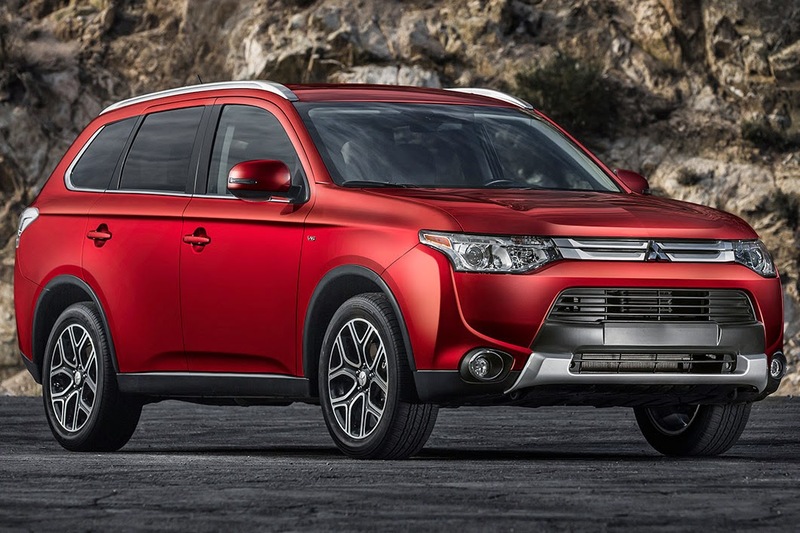 Known for its charm and enduring style the 2015 Mitsubishi Outlander not only has class but fuel efficiency to boot. The Outlander offers up to 224 hp, 3.0 liter MIVEC v-6 cylinder engine, continuously variable transmission, and impressive fuel economy - 24 City/31 Hwy. We’ve brought ground-breaking safety features like RISE (reinforced impact safety evolution) improving passenger protection, Active Stability Control (ASC) for enhanced handling, Active Front Differential (AFD), Lane Departure Warning (LDW), Antilock Braking System (ABS) assisted by Electronic Brakeforce Distribution (EBD), Adaptive Cruise Control, a 7 airbag safety system, and Forward Collision Mitigation (FCM) to keep you on the road and out of harm’s way. We didn’t need to offer these features; but then again we did, because innovation is part of who we are. Sophisticated features such as soft-touch display, automatic climate control, and optional sunroof, enrich the user experience. Standard 7 passenger seating, with lots of legroom, you’ll be able to bring a few friends along the way. If you are looking for space the 3rd row folds flat maximizing storage capacity. All features are backed by our 10 yr/ 100k mile limited powertrain warranty, 5 yr/60k mile fully transferrable New Vehicle Limited Warranty, 7 yr/100k anti-corrosion/perforation limited warranty, and 5 year /unlimited miles Roadside Assistance. Any more warranties and we might set a record. When all is said and done you can be part of the herd or you can break away in a bold new way; choose wisely. Schedule a test drive and find your Mitsubishi Outlander at the Olympia Automall. Our expert staff will assist you to find the car that’s right for you. If you are looking for car dealerships in puyallup wa come to the Olympia Automall.